March 8th, 2019 - Does My Bomb Look Big In This? Up at the big end of town on York Street there are countless cafés, each vying for the corporate crowd’s coin. 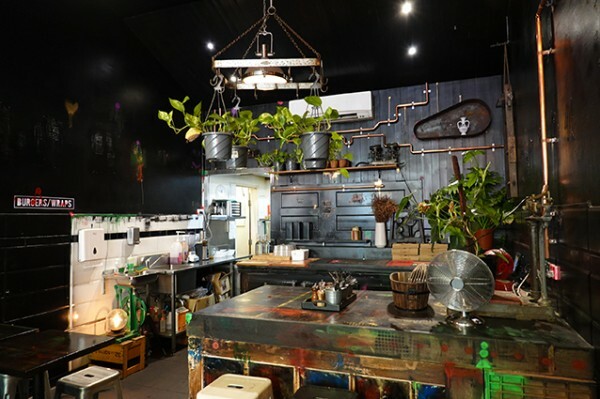 Amongst this fierce competition, Tony Siripo, who learned his coffee trade at Quince Café inside Home HQ in Artarmon, has thrown open the doors of his dream café. 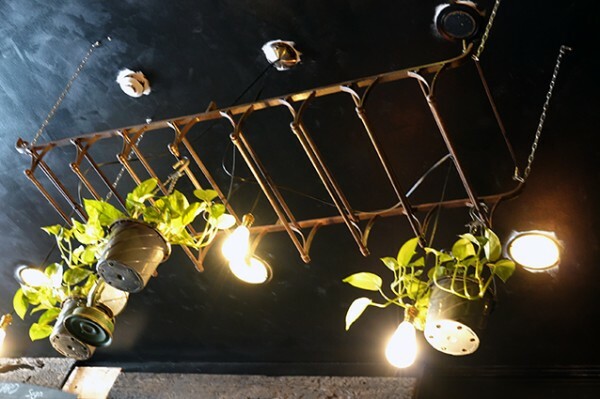 Dubbed Atmos (short for atmosphere), Siripo has decorated it with a hodge-podge collection of doors, saws and dangling metal frames. 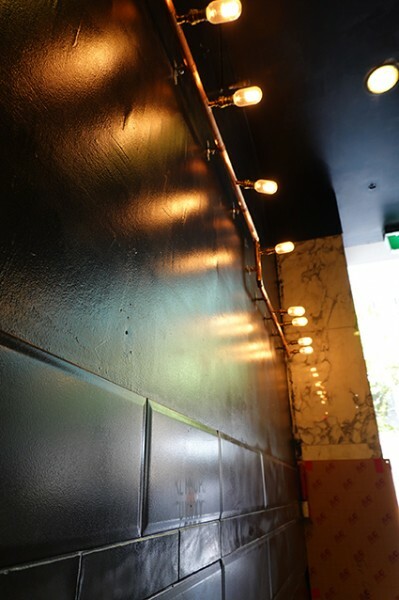 With the walls and ceiling painted black, bar for a slightly odd sink station in the rear of the room, your eye is caught by an intricate maze of shiny copper piping, peppered with exposed Edison bulbs. 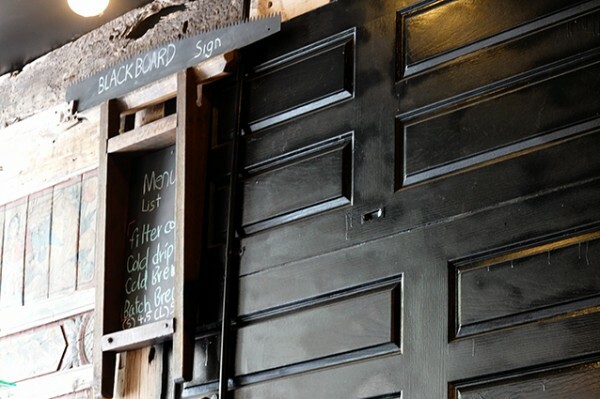 While mostly furnished with small tables at the back of the narrow café there’s a large, paint-stained art bench. It's perhaps the impetus that prompts my dining companion to describe the aesthetic as “H.S.C. art project”. 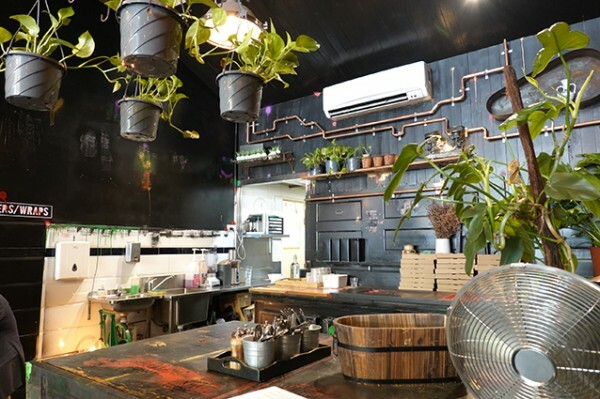 As for me, I’m happy that the green plants dangling from overhead meat hooks are real, and that the space has more personality than the usual bland, white boxes I review in business areas. 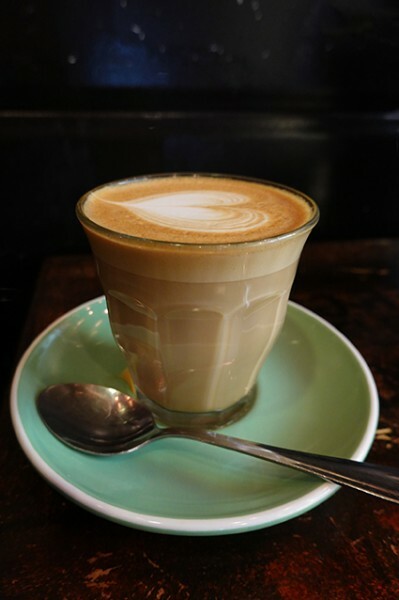 With coffee being the lifeblood of corporate Sydney, I give it a thorough examination across two separate visits. I kick off with their standard Coffee Alchemy beans served in a chocolatey, smooth Latte ($4) that arrives piping hot. 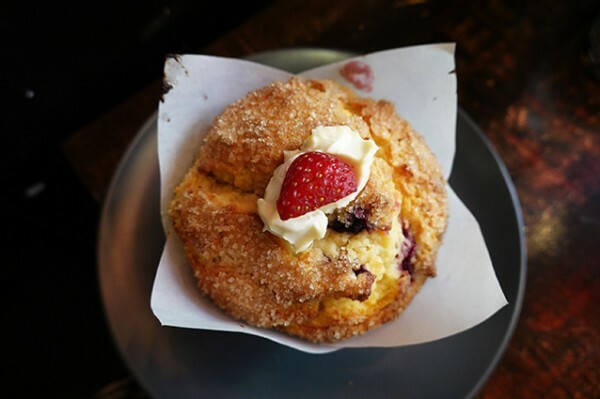 It's great against one of the eye-catching Muffins ($4.50/each) you’ll see sitting on the front counter. 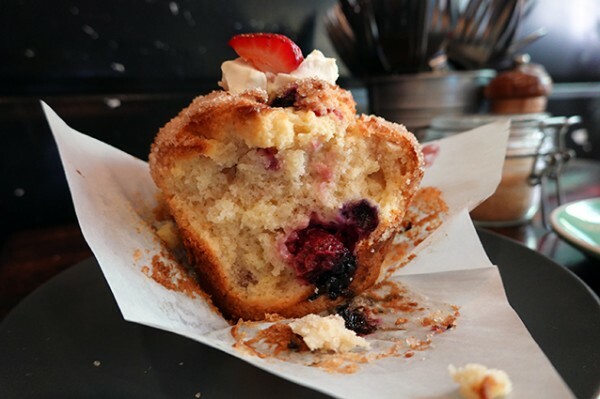 Under a crisp sugar-topped crust, my mixed berry cream cheese muffin has a silky, moist interior punctuated with big berry bursts from pockets of hidden fruit. 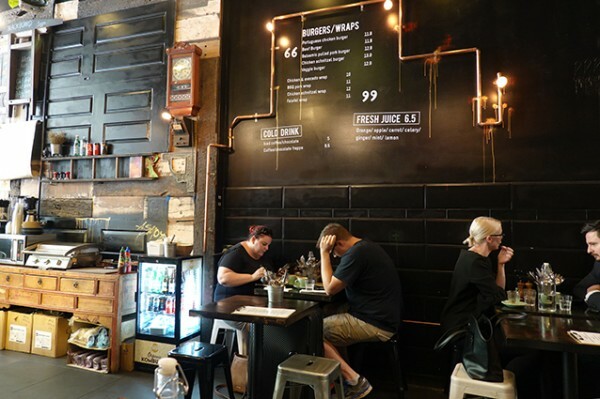 While the saw-topped blackboard that says ‘blackboard sign’ prompted a raging internal semiotics debate that tested my university recollections of Roland Barthes, I eventually managed to look past it and order a Cold Drip Coffee ($4.50) from the 'menu list'. For his cold drip, Siripo has elected to use Ethiopian beans, which produce fruity notes, rather than the earthier notes you’ll find with Colombian beans. 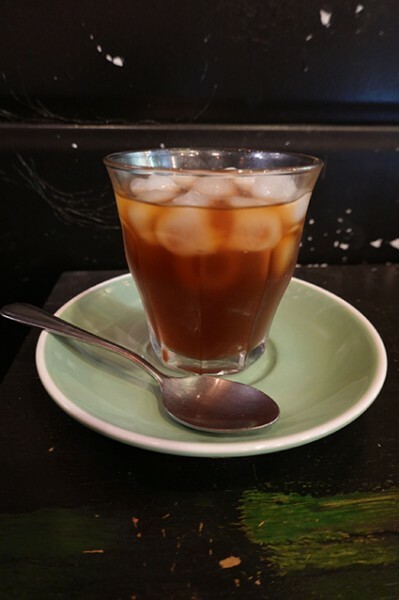 Served with plenty of ice cubes in a glass tumbler, it’s a pleasant drink but slightly murkier than other cold drip coffees I’ve enjoyed. 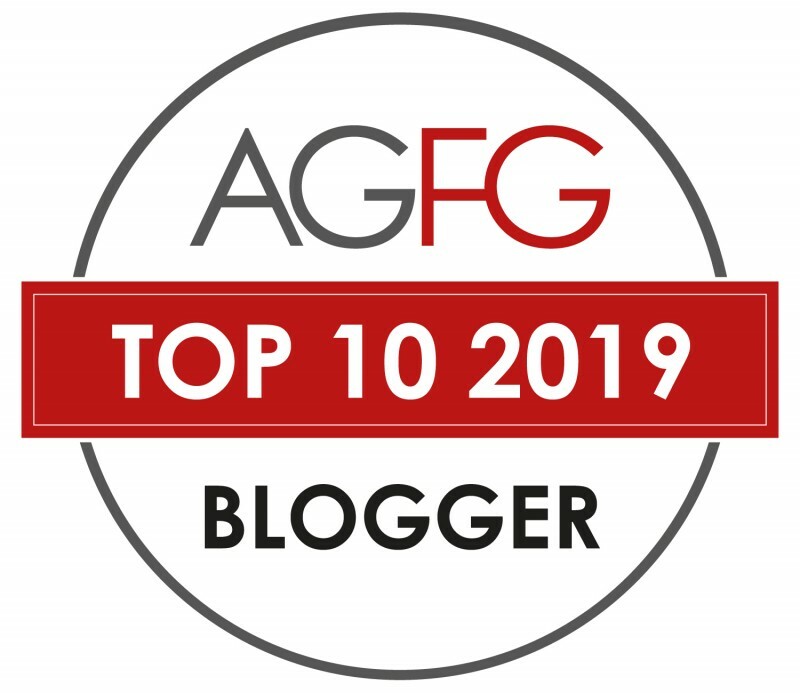 Along with some ready-made items you can grab and eat on the run, the sit-down lunch menu here is a fairly standard collection of burgers, sandwiches and salads. 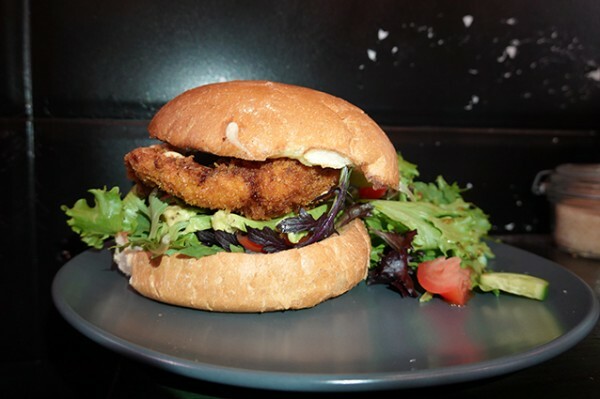 The Chicken Schnitzel Burger ($14.90) is fresh and comforting; with a generous crumbed breast fillet nestled amongst springy salad greens. 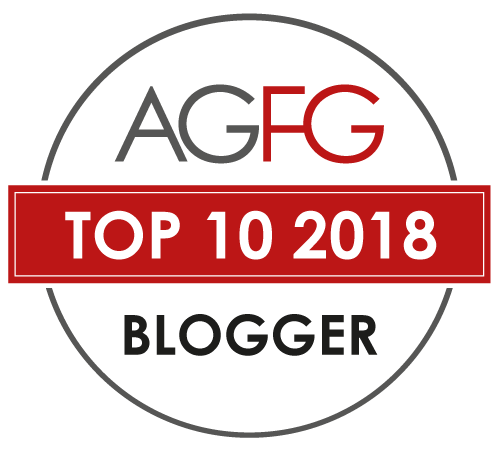 It’s capped off by bacon and well-melted cheese, peeking around the edges of the soft, old-school bun. Perhaps the most exotic item on the menu is the Poke Bowl ($14.90). 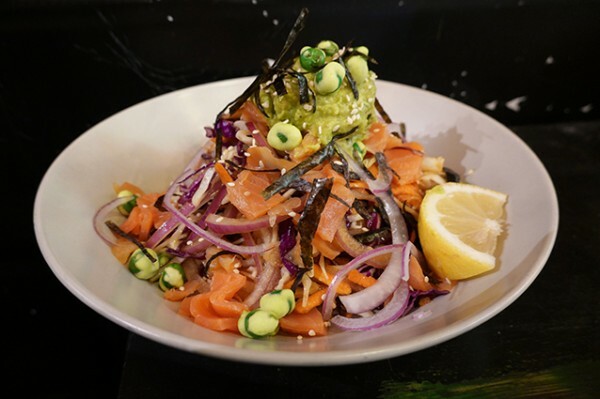 Made on smoked salmon and brown rice, this one is presented in a jumble of crisp vegetables crowned by guacamole, thin strips of nori and crunchy wasabi peas. 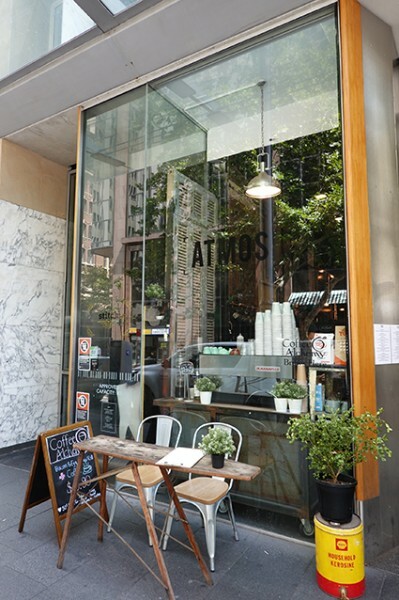 While the Atmos menu won’t win any awards for originality, it’s honest, fresh food presented by friendly people, in a space that distracts you from the corporate grind.